Travis here with some very cool music events to kick your week off. So, don&apos;t get a case of the "Mondays"...make sure you head out to one of these events and rock the night away! This is the real way to start off a week! We&apos;ll start with 80s night at Taiga, starting at 10pm. Now, I&apos;ve not been to this, but I hear it&apos;s an awesome place to be if you like 80s music (like I do). So, head out and join DJ LNC and party with everything from 80s Dance to 80s retro! Next, head over to Roc Da Mic Mondays in Ybor City at the Blue Shark on 7th and 15th Street. There&apos;ll be a cash prize for the champion of the night. Performances starts at 9:30pm adn the Freestyle battle starts at 11:30pm. Plus, ladies free all night and there will be 2-4-1 drinks all night. One note though...there&apos;s a $5 cover charge and $10 entry fee for the battle contest...still totally worth it though! We&apos;ll cap this off with Monday Night Jazz w/Fidora Jazz Artet at Cafe Kili. It&apos;s from 7-9pm tonight at one of Temple Terrace&apos;s coolest hotspots! 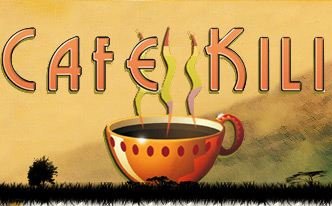 Head over to www.cafekili.com to get more info about it! For a Monday night, you&apos;ve got some really cool choices. I hope everyone enjoys! And keep checking back here as we bring you more great things to do in Tampa Bay, and info on other Tampa Bay area events.